Jack Soo was born on October 28, 1917, as Goro Suzuki. Although his parents lived in Oakland, they decided to give birth to their son in Japan, and Goro Suzuki was born on the ship before it reached Japan. The son of George Suzuki, a tailor, and Haruko Shiozawaa Suzuki, a dressmaker, Suzuki attended Oakland Technical High School, and worked as a farm laborer and eventually as a contractor, buying melons in Turlock. He decided early in his life that he wanted to be an entertainer – a highly unusual choice for a second-generation American born Japanese. He attended and graduated from UC Berkeley, where he studied English, but by this time, was already performing in nightclubs in San Francisco, introducing other acts and performing stand-up comedy. In 1941, Suzuki, along with his family, was interned at the Tanforan Assembly Center in South San Francisco and then at Topaz Relocation Center, Utah, along with thousands of Japanese Americans during World War II. There, Suzuki, then in his mid-20’s, quickly earned a reputation as a popular “camp” entertainer among his fellow internees by singing and performing at events. He later received authorization from the U.S. government to leave the internment camps and later worked in military intelligence in Cleveland, Ohio. After the war, Suzuki began working as a butcher in Ohio but continued to moonlight as an emcee and performer in nightclubs and venues throughout the Midwest and Eastern States, including the Heidelberg Roof in Jackson, Mississippi, Vine Gardens in Chicago, the State Fair in Dallas and the China Doll in New York. He got his first big break when he teamed up with Joey Bishop, playing Bishop’s straight man in 1949 for a year and a half, and the duo played Chez Paris in Chicago. 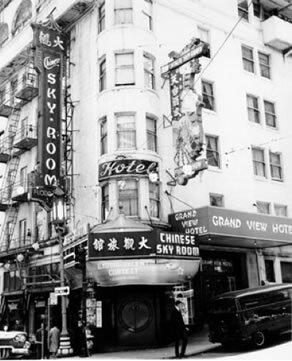 Suzuki, who took on the stage name of “Jack Soo” after World War II, returned to the West Coast, and was a popular act at Andy Wong’s Sky Room and Charlie Low’s Forbidden City in San Francisco, which featured all Chinese performers. It was at the Forbidden City that Soo was “discovered” by Gene Kelly, who offered Soo the role of nightclub announcer Frankie Wing in the Rogers and Hammerstein’s Broadway production of The Flower Drum Song in 1958. Soo was hired and moved to New York City. After earning rave reviews for his portrayal of Frankie Wing, Soo was elevated to the leading role of the nightclub owner and romantic lead Sammy Fong, and was chosen to play the same role in the film version of the musical, which was released in 1961. The play and film made history, as the first mainstream musical to feature an all Asian-American cast. Soo sang his own songs and won accolades for his performances in both the play and the film. Soo decided to settle in Hollywood, and over the next decade, despite a lack of roles for Asian Americans, he managed to find work in films such as Who’s Been Sleeping in My Bed? (1963), the musical Thoroughly Modern Millie (1967), The Oscar (1968) and The Green Berets (1968) with John Wayne. Soo was also cast as a regular in the series Valentine’s Day, as the chauffeur-gambler Rockwell Sin, co-starring with Tony Franciosa, which aired for one season in 1964. He also appeared in many television shows, including Hawaii Five-O (1970), The Odd Couple (1972), Ironside (1974), MASH (1972,1975) and Police Woman (1975). But Soo’s talent stretched far beyond the memorable roles and characters he created for film and television. He began his career as a singer and was often referred to as the “Asian Bing Crosby.” He was among one of the first non-African American artists signed to Motown records in 1965, and was the first male artist to record the classic, “For Once In My Life.” He also sang several songs in both the film and Broadway productions of the Flower Drum Song. He was also one of the first Asian American stand-up comics to tour widely throughout the United States, including the Midwestern nightclub circuit, New York and Las Vegas. In 1945, Jack Soo married former model Jan Zdelar, who he met in New York. They had three children: Jayne, James and Richard, and two grandchildren. Jack Soo’s brother, Michio “Mike” Suzuki, was the director of policy at the Department of Health, Education and Welfare in Washington, D.C. Sadly, Soo died of cancer on January 11, 1979 at the height of his popularity. 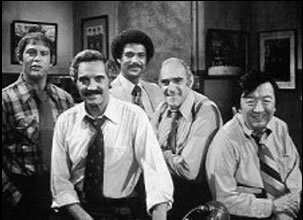 His death shocked Soo’s friends and cast members of the show Barney Miller, which was in its fifth season, and the entire cast stepped out of character in a tribute to Jack in an episode that aired in May of 1979. It was said that his last words to his co-star Hal Linden, who played Barney Miller in the series, as Soo was being wheeled into the operating room before his death were "It must have been the coffee,” referencing a running joke by his character from Barney Miller of having the reputation for making horrible coffee. At the end of the tribute, Soo’s cast members raised their coffee cups in a final toast to his memory.